Krob Landscape in Silverhill, Alabama is a landscape company that takes pride in the landscapes they design. When looking for a landscape company in the Silverhill, Alabama area to transform your yard, there is only one landscape service that stands above the rest, Krob Landscape. We at Krob have a talent for taking any area and turning it into outdoor paradise. Krob landscape specializes in Landscape Services such as: Landscape Design, pool landscaping, Landscape Maintenance, landscape ideas as well as performing any type of Landscape Installation. 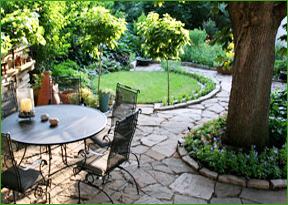 Krob landscape employs the most skilled landscape designers in the industry. The landscape team is equipped with the latest landscape tools and supplies to perform any landscape remodeling job. Call today and schedule a landscape consulation. Our creative team of landscape designers can provide many different variations of landscape ideas and styles in order to transform your area into a landscaped oasis.